Dedicated to celebrating the beauty, character, culture and heritage of the American South, Southern Edition brings to you the sights, sounds, tastes and hospitality for which the region is known. Pull up a chair and sit a spell . . . and visit often! Southern Edition editor Greg Freeman relates a funny pet shopping experience from his boyhood! Buy Greg Freeman's music at Amazon or iTunes today! Music from Wes Hampton, Clay Crosse and Ernie Haase & Signature Sound! Julian G. Brunt compares a New Orleans favorite with a Hungarian staple. "Recovering the South, One Yard at a Time"
Call or e-mail for fabric samples! 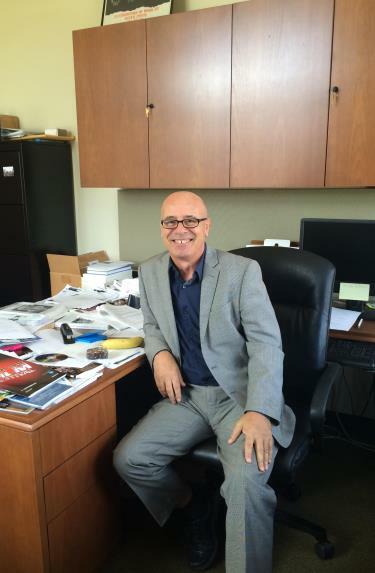 Discover interviews and other great features in the Southern Exposure department like Tammy Blue's piece on University of Alabama professor Dr. Colin Davis! Includes downloadable folk, blues, bluegrass and gospel music clips by Bill Monroe, Doc Watson, Mary McClain Smith, Johnny Shines, Zora Neale Hurston & More! Thank you for visiting Southern Edition. 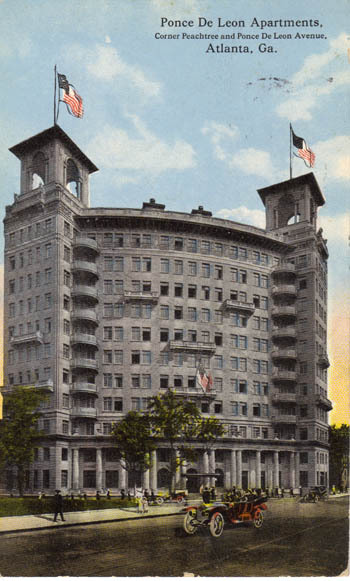 Comprised of departments devoted to general interests, travel, food, gardening, history, books and humor, this publication is easily navigated and capable of providing hours of reading pleasure. Several factors prompted me to begin publishing Southern Edition in May 2006. First of all, I discovered that some of the topics about which I wished to write were of little or no interest to most so-called regional periodicals. Additionally, two Associated Press articles, "Blacks wear Southern label with pride" (by Jay Reeves) and "Old South's distinction melts away" (by Allen G. Breed), appearing in the Atlanta Journal-Constitution on December 29, 2005, reminded me that change, both positive and negative, is inevitable and some desirable elements of the American South are fading fast. Less prevalent are the South's distinctive accents and cultural nuances. Our major cities are increasingly occupied by transients. And many of our communities have experienced such an influx of outside influences that entire neighborhoods now resemble snapshots of the Hamptons or the Jersey shore. Nonetheless, a great deal of the region's character and intrigue remains intact, and there is much to preserve and share. Historically, the South has indelibly impacted American culture, and the region is not to be underestimated today. As a writer who is passionate about the South, it is to my advantage that so many others possess my level of enthusiasm. I am aware that my readers have included best-selling authors, Grammy Award-winning recording artists, legislators, prominent businessmen, professors, radio personalities, television producers, ministers, teachers and, to my delight, inquisitive college, high school and middle school students. Could I have envisioned this reception years ago when other publications might have rejected what have become some of my most popular articles? Certainly not. Am I discovering my niche? Hopefully so. Only time will tell. Meanwhile, I am grateful for your time spent poring over the pages of Southern Edition. The good word of my readers has been my greatest source of promotion, and today my monthly page views number well into the thousands. If you enjoy a story, by all means, please take advantage of the share buttons that accompany each article and conveniently recommend it to family and friends from your own e-mail, Facebook or Twitter account. Lastly, your feedback and suggestions are always welcomed, and I look forward to hearing from you. Includes conversations with Bill Gaither and Don Butler, a charter member of the Gospel Music Association and founder of the legendary Sons of Song! New Orleans: Not Merely a Destination, It's an Experience! 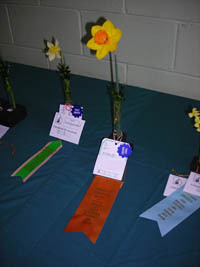 March 24, 2012 - At the Eastern Tennessee Daffodil Society's show in Maryville (just outside Knoxville), all of my entries received first place ribbons, including HK6-08, a sibling to the head-turning green-cupped daffodil I had shown in Atlanta the week before! February 5, 2012 - I was a musical guest at Cross Roads Baptist Church, Westminster, South Carolina. I sang Phil McHugh's great song, "One Day" for Cross Roads' annual Friends' Day celebration. January 5, 2012 - Babbie Mason and I completed "Seven Days Without Jesus (Makes One Weak)." May 17, 2011 - Babbie Mason and I penned "I'll See You At The House," a song we believe is a strong southern gospel pitch. April 18, 2011 - Babbie Mason and I added the finishing touches to our composition, "Look At Me Now." Looking for a great travel destination? Find your inspiration in Sunbelt Excursions! 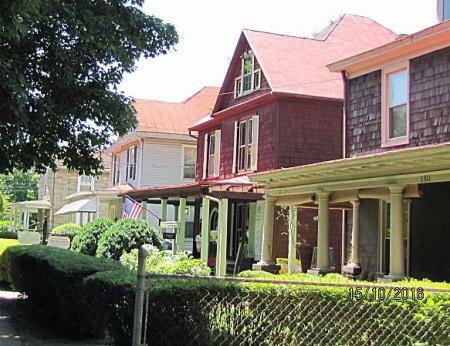 Enjoy popular destinations and off-the-beaten-path places like Lynchburg's Pierce Street. And you are sure to enjoy pieces on The Casa Marina Hotel and Jacksonville Beach and Georgia's beautiful St. Simons Island by travel writer Debra Pamplin. In this video, Roger Ogden, the founding collector of New Orleans' Ogden Museum of Southern Art, discusses the Crescent City, Newcomb College pottery and the allure of southern art. Some of you might recall reading in my New Orleans travel piece about the Newcomb vase that sold for $108,400 at auction in November 2006. The story behind Newcomb pottery is quite interesting, and the rarer pieces are coveted by collectors and art investors. Now you can listen to some of my own songs. I have been privileged to co-write with some great gospel songwriters and share my music with both church and television audiences. Music lovers can also sample material from some of my friends in the music business (such as Tugalo Holler) as well as enjoy folk, blues and gospel recordings of yesterday. As you take this trip down memory lane, you are sure to enjoy the selection that includes folklorist and novelist Zora Neale Hurston (of Their Eyes Were Watching God fame), blues guitarist Johnny Brown and Florida's Antioch Junior Choir. 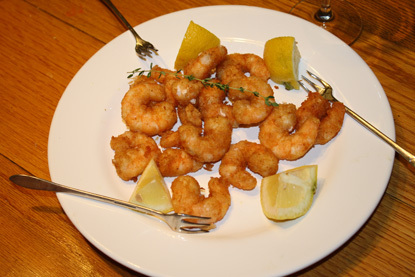 Of course, food is an essential element of southern culture. From our recipe box to restaurant features to wonderfully-written pieces like Julian Brunt's The Culinary Diversity of the Mississippi Gulf Coast, you are sure to find something in Soul Food to tempt your taste buds and expand your culinary horizons! In this video, Georgia Public Broadcasting's Georgia Traveler visits Wren's Nest, the home of Joel Chandler Harris (1845-1908), the author who brought us the Uncle Remus folktales. I discuss Harris's "Free Joe and the Rest of the World" in my seemingly obscure article, "Treasure Amid the Dusty Covers and Musty Pages" (see Cotton States Archive). Numerous authors, ranging from Zora Neale Hurston and William Faulkner to Flannery O'Connor and Toni Morrison, have credited Harris as an influence. Often graced by the presence of majestic magnolias and filled with an array of showy perennials, heirloom bulbs and show-stopping shrubs such as azaleas, southern gardens enjoy a distinction all their own! In Magnolia Eden, discover great additions to your garden or learn about some of our botanical treasures. Delve into Sara Van Beck's wonderful articles on daffodils. 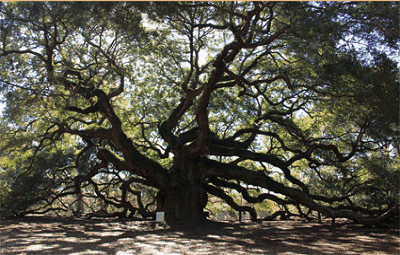 Or perhaps check out Dr. Ed Brotak's Southern Live Oaks: Nature's Great Survivors. Your inspiration awaits! September 29, 2011 - Check back for some exciting articles coming up. As promised earlier in the year, I will be publishing some exciting interviews. Recently, actor Jesse James talked with Southern Edition about his role in The Last Ride, Benjy Gaither's film about Hank Williams' last three days. Additionally, I will be featuring a separate interview with Benjy. So be sure to drop by within the next two to three weeks for these stories. Better yet, connect with me or join the SouthernEdition.com Social Network on Facebook, and you will be the very first to know about the latest news at Southern Edition. April 4, 2011 - In addition to gearing up for more positive changes to Southern Edition, I am planning to publish articles on topics as diverse as James Agee and antique roses. And I hope to secure several important interviews later this year to coincide with certain events. Currently, I am writing a book proposal and working on some rather personal (and hopefully artful and well-crafted!) essays that I will be submitting to various literary magazines. And I plan to begin work on a recording project later this summer, if I can manage to raise the funds! God has blessed me with all sorts of creativity, and He continues to amaze me with open doors I could have never envisioned. Through my singing, songwriting, articles, photographs and even my attempts at drawing, painting and sculpting, the Lord has allowed me to view creation.....humanity and my own frailty, in particular.....in a different light, and I have learned to see beauty all around me, find importance in the seemingly insignificant things and recognize the hand of God at work in my life each time He allows me to lift my voice to sing, pick up a pen to write a song, sit down at my keyboard to type an article or shape a piece of lifeless clay. Southern Press exists to inform readers of authors or books we find particularly intriguing and worth adding to one's library. 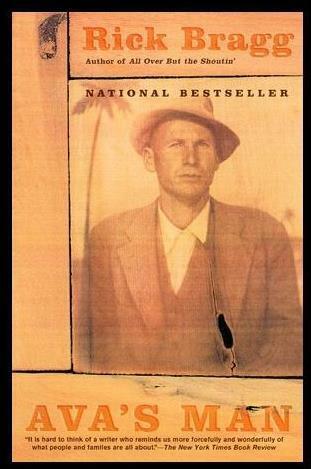 Great books such as Rick Bragg's Ava's Man (see Allen Hott's review here) explore aspects of the South to which all Southerners can relate. Get a little nostalgic with Cotton States Archive. This section is devoted to Southern Edition editor Greg Freeman's personal collection, allowing you to peruse post cards, ephemera and old photos depicting long-forgotten people, superb architectural examples (such as Atlanta's still-standing Peachtree Street landmark, The Ponce) and products of a bygone era.